Right C3 is excited to announce the First Prize winner of our Senior Survey Scholarship Contest! Sharon Nwankpa of Bronx, NY was named the $2,000 First Prize winner. 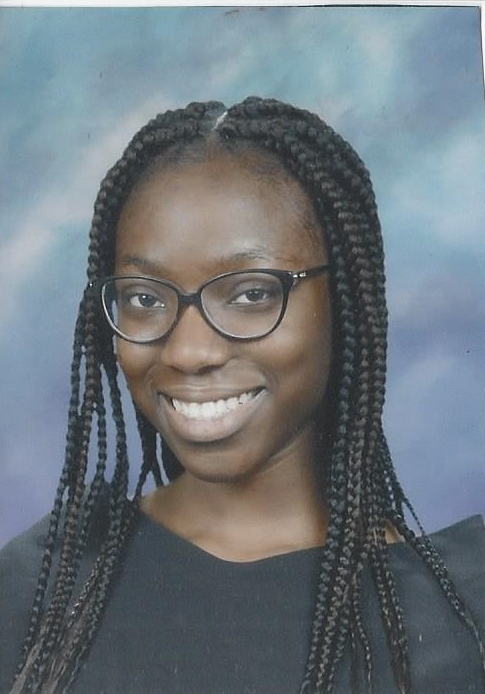 Sharon plans to attend Haverford College in Pennsylvania this fall, where she will major in Biology as a Pre-Med student. Sharon told Right C3 that she has wanted to become a doctor since she was a child. In high school, she confirmed her career choice by researching it further, taking an advanced Biology class, and learning more about the medical field from her mother, who is a nurse. She also participated in a Mentoring in Medicine program during high school. Sharon was accepted to an impressive seven colleges, but she chose to attend Haverford because they awarded her the best financial aid package. She also liked that they offered her a place in their Chesick Scholars program, which will provide mentoring and leadership opportunities throughout her time in college. Sharon tells C3 that when she visited Haverford’s campus, she felt that the environment there showed that they lived up to their honor code, both academically and socially. In high school, Sharon was involved in Track and Field, participating in the 100m, 200m, open 400m, and relay. She says that what she liked best about high school was the time she spent with friends, but she does wish she had chosen a different high school that was a better fit for her. Sharon’s advice to younger students would be to stay focused throughout all four years of high school. She says that she didn’t do as well as she wanted her freshman year, and she’s realized now that every year of high school leads to graduation. Sharon has been a part of the Right C3 program since the 8th grade, and she tells us she found the program very beneficial. In her survey, Sharon mentioned that C3 helped her maintain her GPA throughout high school and that, during her senior year, the FAFSA and award letter reviews helped her fully understand her financial aid offers and choose the best-fit college for her. Out of all of C3’s services, Sharon said that she found the Test Prep the most helpful because she used it to “ace [her] SAT,” which "gave [her] the courage to apply to some of the most elite colleges.” She also tells us that her C3 account was easy to navigate and had everything she needed online. Right C3 is definitely impressed by the way Sharon made the most of our program! When she attends Haverford this fall, Sharon will be moving out of her home state, which is one of the things she says she is most excited about. She tells us she is also looking forward to all of the new experiences college will bring. She plans to take advantage of lots of opportunities at her college, including continuing to run track, becoming an RA, working an on-campus job, and participating in research. Sharon is a first-generation college student, with her older brother having been the first member of her family to go to college. Sharon believes her parents are most proud of her determination, her hard work, and her resilience through difficult times. Right C3 is also proud of Sharon’s hard work and wishes her all the best in her future!